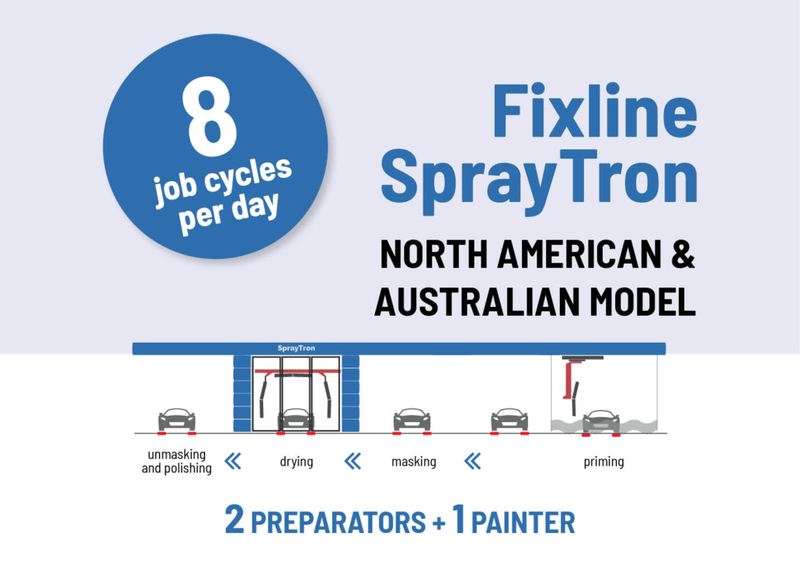 FixLine is a complete repair process. 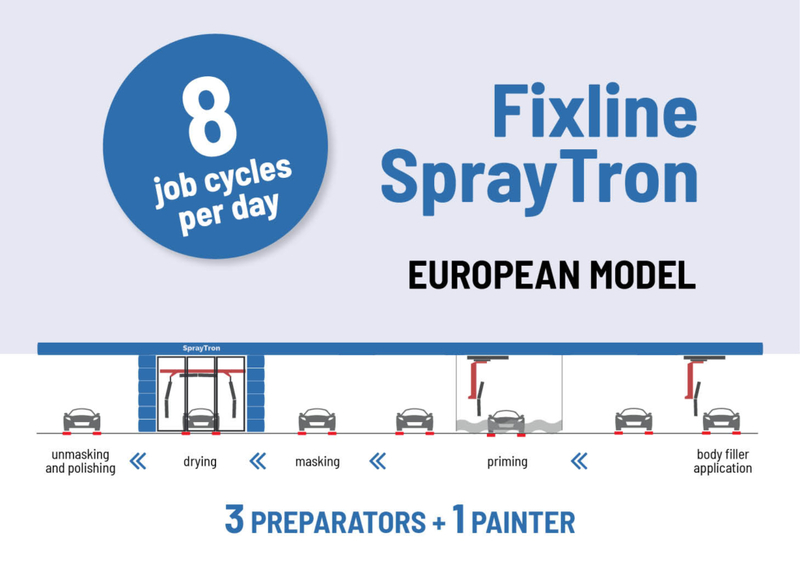 The points of advantage of the FixLine include the DryTronic technology and the SPAP Process that offer the ability to work continuously on the repair without waiting for flash off and drying. 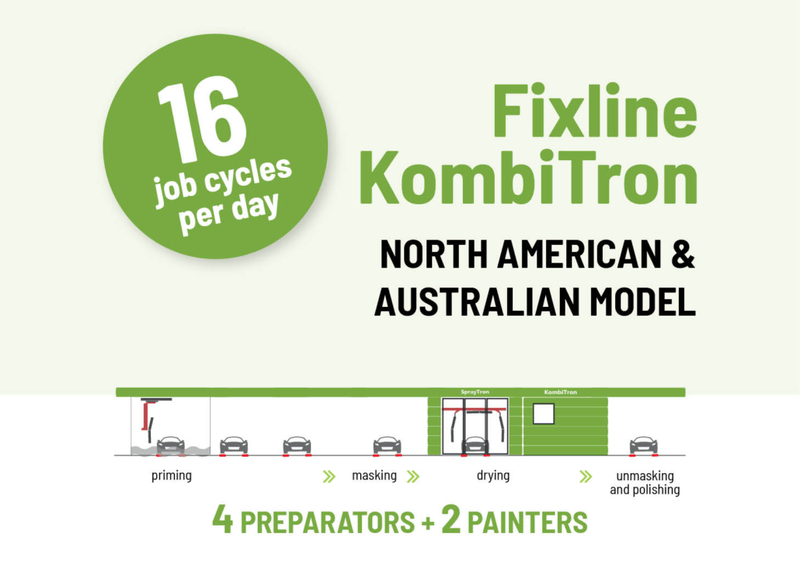 This process also provides benefits to the disassembly, reassembly and metal work phases; in fact, there are no longer interruptions because of the preparation and painting. 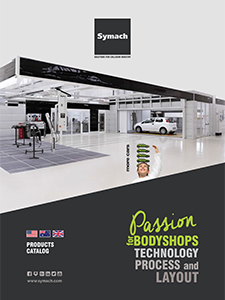 An additional advantage is the minor moving of the cars because all cars are repaired with only three movements made in sequence without waiting.